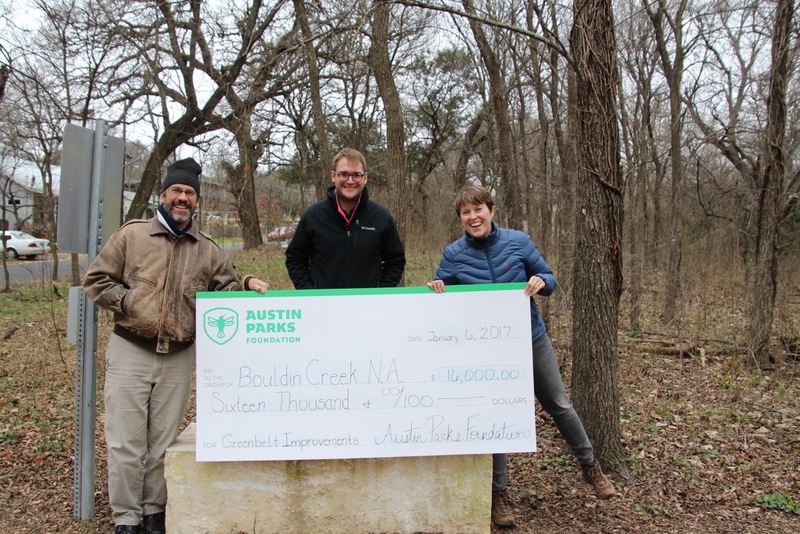 On Friday, January 6, The Austin Parks Foundation presented BCNA with a check for $16,000 – the grant we were awarded in November for West Bouldin Creek Greenbelt trail enhancements. And the money is already spent – all work was completed in the last week of December. Look for a Grand Opening ceremony in March, once it warms up a bit and the greenbelt is “green” again. 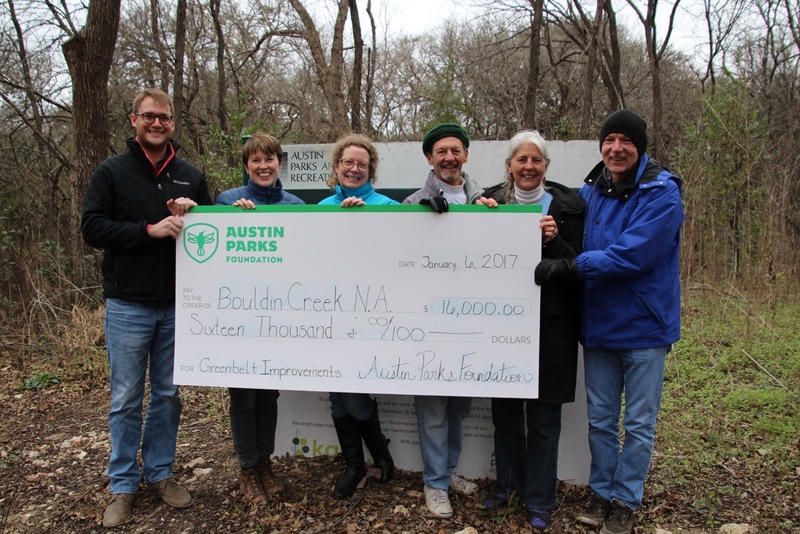 Above Image Features: Bill Stout, John Rooney, Ladye Ann Wofford (APF); Ingrid Weigand, Catie Mohn (BCNA Parks Committee), Cory Walton (BCNA President). 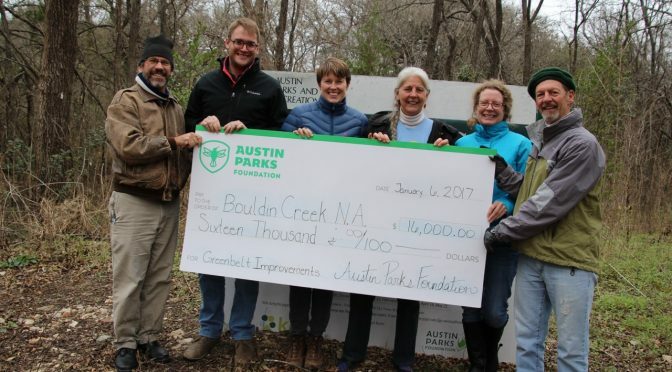 Our sincere thanks to the Austin Parks Foundation for their support!